Only the finest top grain leathers make up our magnesium inert gas (MIG) and tungsten inert gas (TIG) welding gloves. They assure the best in comfort, dexterity and longevity in the industry. 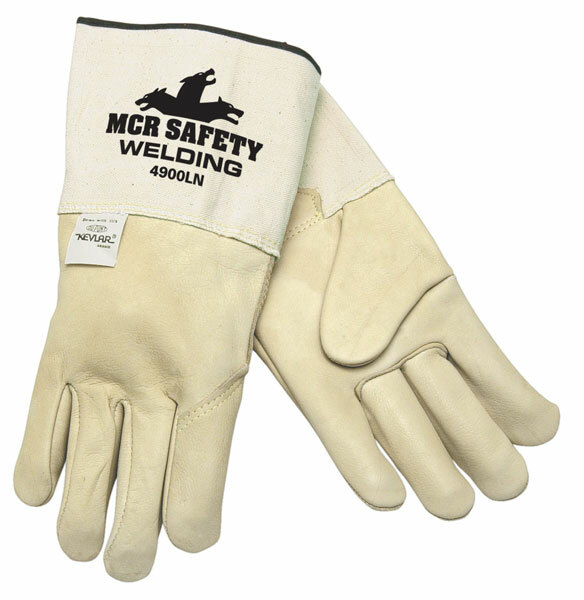 Sewn with Kevlar® thread to resist sparks and sharp metals which can unravel most gloves, you will find these gloves a great long-term value. Low heat welding often requires optimal dexterity which affords great attention to detail. The 4900LN features top grain premium cowhide, 4.5" duck gauntlet cuff, and is sewn with DuPont™ Kevlar® thread.